As recently as February of 2016, Porsche was staunchly opposed to the mere idea of an autonomous driving Porsche. Company CEO Oliver Blume even went so far as to say "An iPhone belongs in your pocket, not on the road." In the following 22 months, technology has advanced at an alarming rate, and the number of competing brands placing autonomous tech into their high-end models has been a bit of a surprise. Porsche, themselves beholden to the folks who purchase their cars, has been forced to perform an about face and acknowledge the fact that there may one day be a self-driving Porsche. 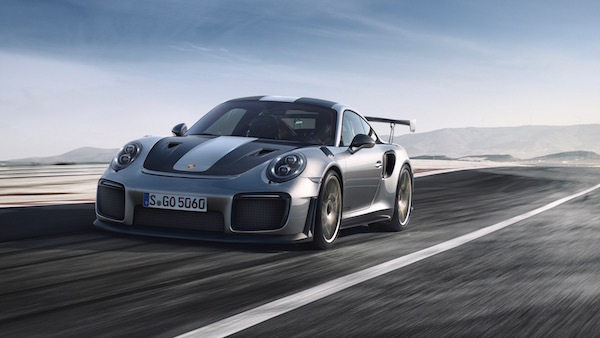 In a recent interview, VP of the Porsche Executive Board, Lutz Meschke, indicated that Porsche is committed to keeping the steering wheel in control of the driver if desired. That said, he admits Porsche is pursuing options to allow the car to take over in rush-hour traffic, or perhaps to find parking (or circle the block) while you exit the car and go inside to your appointment. Don't get discouraged, because there could also be an option for autonomous-driving Porsche sports cars to teach you how to be a better racing driver. "In a first step, he lets the virtual Mark Webber drive and gets to know the course. Then he drives himself and learns from the virtual coach. First, he drives with 40% of the speed, then with 50, then with 60. And of course, you can choose from different race tracks. Or from different race drivers – maybe you would rather drive like Walter Röhrl." What is your thought on such a technology? Would you like to learn better driving techniques from a digital facsimile of an FIA World Champion, or does that give you the heebie-jeebies? I think that is interesting. If the track ability was an option it makes me wonder how much that option would be? Also, because technology changes and this sounds almost lik a software pack, would this be updatable? I wonder how many tracks could be in the software? Or does Mark have to go drive every little track? Anyway, it sounds okay. My favorite Mark Webber quote: “If you’re gonna race cars, you’re gonna crash cars, mate.” And my favorite image is hit backflip at Le Mans. So what exactly will that “Mark Webber button” do, exactly?